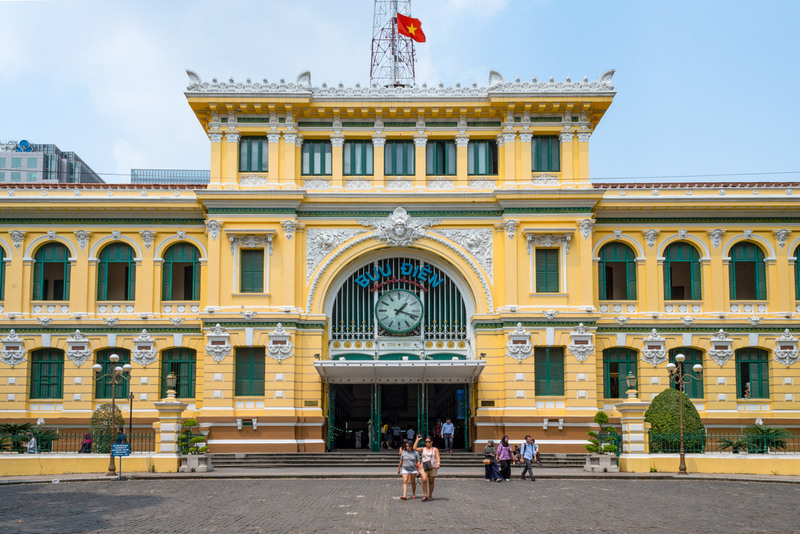 Bưu điện Trung tâm Sài Gòn: A relic of the French colonial period, the old Central Post Office is a landmark in downtown Saigon, next to the Roman Catholic Notre Dame Basilica. Completed in 1891, I don’t know when the building got its yellow face lift. It is definitely not yellow in older photos. I am hoping this is the same Steve Barru who had placed some of his photographs with the MyLoupe Agency years ago. I am trying to get in contact with you regarding your collection. Please email me when you get the chance.